Email marketing is one of the most powerful and effective ways to drive sales and user engagement is through E-blasts to your own database. Tekcabin offers email marketing services for your company which means you do not need an in-house designer or technical person to maintain this for you. 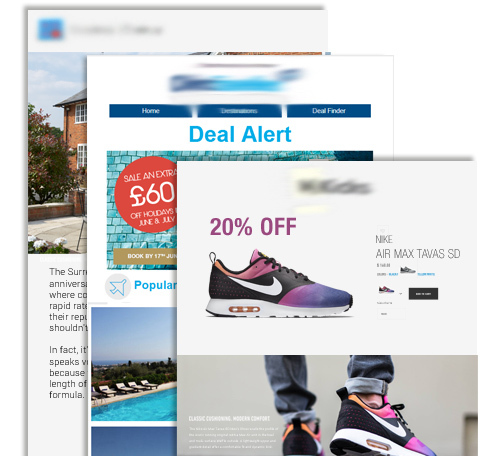 E-blasts are one of the most effective ways to drive targeted traffic to your website. This should be part of any serious marketing campaign. By utilising your database you can get real results and drive growth for your business. Tekcabin email marketing services deliver effective campaigns, from content creation to design, platform setup, scheduling and promotion. If you don’t have a database? Tekcabin can create effective data capture strategies to grow your email database and grow your sales in return.